The Church must do something to address the current crisis of faith says Archbishop Costello. "One way of doing that is to have face-time sacraments. We acknowledge this is only possible for the sacrament of penance as it would be absurd to suggest face-time weddings and the like. And of course, you can’t receive communion over the internet." "But for those estranged from the Church what we can offer is confession. 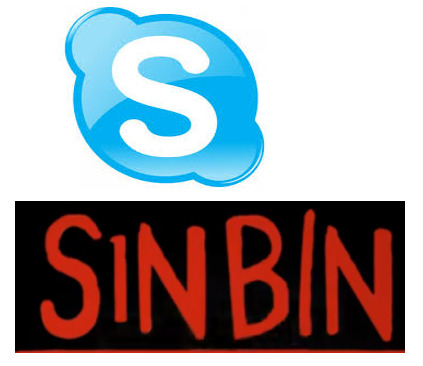 And that’s what we are doing with the new SkypeSinBin app. In effect, your sins are binned through the online absolution." Of course this new app is urgently needed as we approach Easter. "When the twicer's go to Mass" said the Archbishop referring to two-time Catholics (Easter/Christmas), "it would be good if they were properly disposed to receive the sacrament."